Until March 6 only! 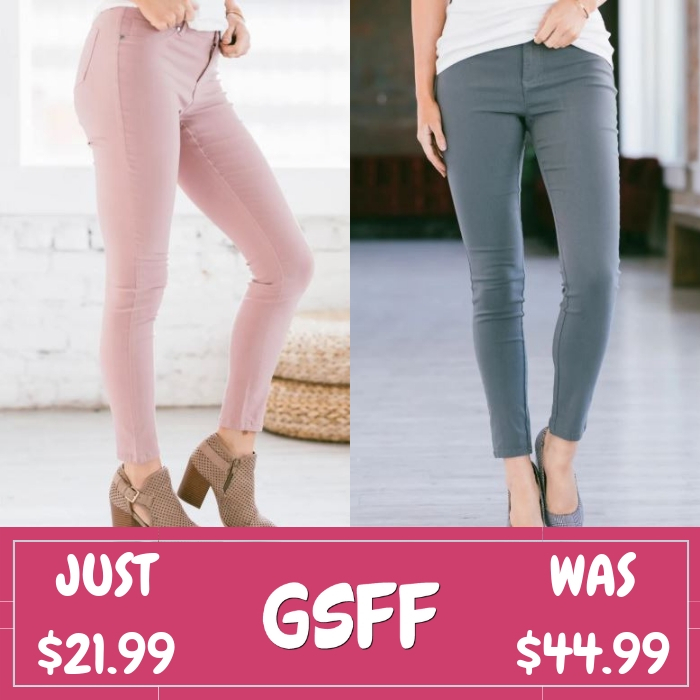 Jane is currently offering these Emryn Skinnies for just $21.99 down from $44.99 PLUS FREE shipping! We are loving these new Emryn Skinnies! Available in a variety of colors, we can’t get enough of the soft bodycon fit of these pants! They feature faux pockets and a button on the front, making them so fun and easy to style! The bengaline triple fabric blend gives them stretch and comfort all day long! This expires on February 19! Jane is currently offering these Emryn Skinnies for just $44.99 PLUS FREE shipping!